The optometrists at Maple Ridge Eye Care are dedicated to providing quality eye care for our patients. Our entire team is committed to you and ensuring you can see the world around you in crisp clarity. 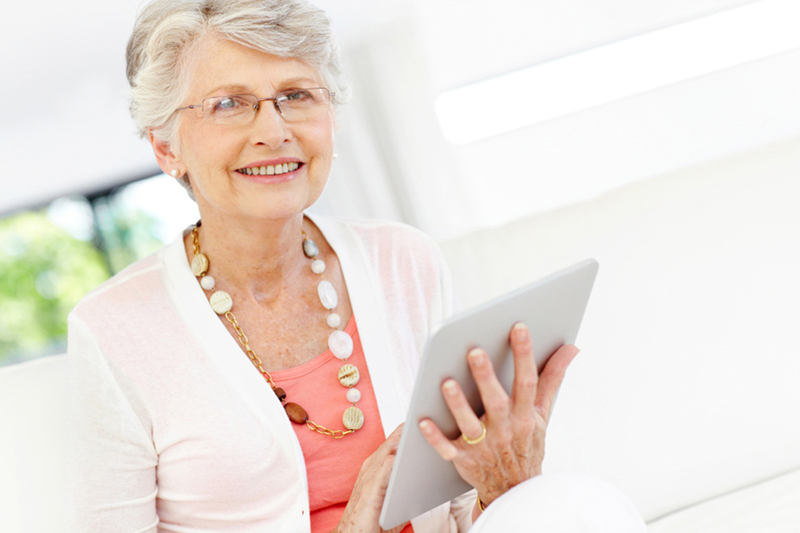 For many people, vision health becomes a growing concern with age when conditions like presbyopia begin to set in. Trust Maple Ridge Eye Care to help you see clearly despite the onset of this age-related vision problem. We’ve been serving Pitt Meadows, Maple Ridge, and the surrounding communities for over 50 years. Presbyopia differs from nearsightedness and farsightedness because it’s caused by age, not genetic and environmental factors. Even if you’ve never had vision problems before, you will probably experience presbyopia starting at about age 40 to 45. As the eye stiffens with age, it becomes more difficult to see things up close, such as small newspaper print or the words on your smartphone screen. The most obvious symptom of presbyopia is the gradual inability to focus on things up close. Even if you already wear eyeglasses or contact lenses to correct nearsightedness, you’ll still notice your near-vision blur as you start to develop presbyopia. You’ll find yourself holding books and other reading material further away from your eyes to make them come into focus. Unfortunately, because this makes the text smaller and harder to read, you need a more permanent solution. Bifocal or progressive eyeglasses, which contain a special lens with multiple prescriptions for distance vision and up-close work. Reading glasses are an easy option if you have good distance vision, or if you already wear contacts for most of the day and you prefer to don glasses only for up-close work. Multifocal contact lenses, which are available in soft lens or gas-permeable materials. Monovision, which is when one eye wears a distance prescription and the other wears a contact lens for up-close work. Laser surgery as an option vs. corrective eyewear. Corneal inlays can reverse presbyopia, and the optometrists at Maple Ridge Eye Care can provide the preoperative and postoperative care you need to ensure a successful eye surgery. Be aware that presbyopia usually progresses with age, meaning you’ll need to revisit Maple Ridge Eye Care about once a year to check on and update your eye correction as needed. Keep your vision as sharp as ever with prescription eyeglasses or contact lenses designed to correct presbyopia. To schedule an eye exam with our Maple Ridge optometrists, please call us at 604-463-4469 today.